Granada, Spain is located in the community of Andalusia. When one thinks of Andalusia, it’s the local breed of horse that often comes to mind. This prestigious breed is strong, yet refined, and perfect for various equestrian events including dressage, show jumping and driving. When in the area, if you have the opportunity to see these elegant horses and their trainers show off their skills, it will be a most memorable experience. Since the area has been influenced by the Roman, Greek, Punic and other cultures, it is known both for its many historic sites as well as the interesting collection of architecture. It is thanks to these fascinating sites and the cheap hotels in Granada that the area has s thriving tourism industry. The many different types of accommodation in Granada, Spain make is possible for guests to find the perfect place to stay at just the right price. It’s important to know that you will probably spend much of your time walking around and exploring many of the local sights on foot. While these activities will keep you out of your Granada hotel room for most of the day and possibly even at night too, you certainly want to come home to a comfortable bed every evening. Choosing the right hotel in Granada can make all the difference when it comes to “recharging your batteries” and preparing for another exciting day ahead. One of the best ways to really enjoy Granada is by exploring the various neighbourhoods. Albayzin is not just a great place to walk around but it has also been declared a World Heritage Site and has plenty to offer. Take a few hours to enjoy your surroundings, stop for a meal at one of the local establishments and make sure that you stop at a few of the lookouts along the way too. A walk around Sacromonte is another great way to spend the day. Popular attractions in this historic area include the Cave Museum of Sacromonte and it really gives visitors a better understanding of life years ago while ensuring that the experience is as entertaining as it is educational. In the summer, the area plays host to various flamenco concerts and the botanical garden is also a favourite among locals and tourists. Along with the large number of affordable hotels in Granada, there are also many other options that offer ever cheaper rates. The hostels in Granada are known to cater for those on particularly tight budgets and, if it’s basic accommodation that you seek, then these are often the best options. Of course, by booking your accommodation online, you can save even more on your hotel bill too. By properly planning where you stay and what you do while in Granada, you can definitely plan your trip without breaking the bank. By including visits to places like the Granada Cathedral will allow you to enjoy some historic sites that won’t eat into your travel budget. Construction started in 1523 and was worked on by various architects over the years. The general structure is Gothic in style but the façade is notably Renaissance. This is the very first Spanish cathedral that was built in Renaissance style which makes it an important religious and historic site. 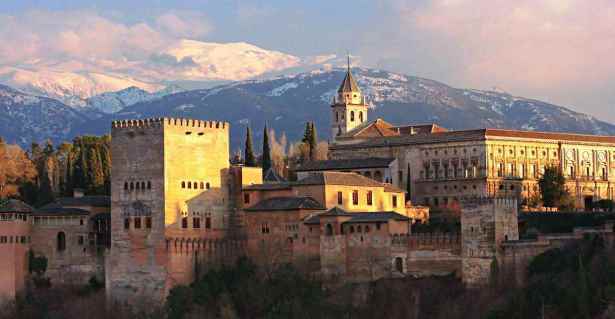 Saving money on free sights and attractions will make it that much easier for you to budget for visits to places like the Alhambra. In many cases, top sights like these have limited tickets per day and making sure that you get yours early is essential in order to avoid disappointment.